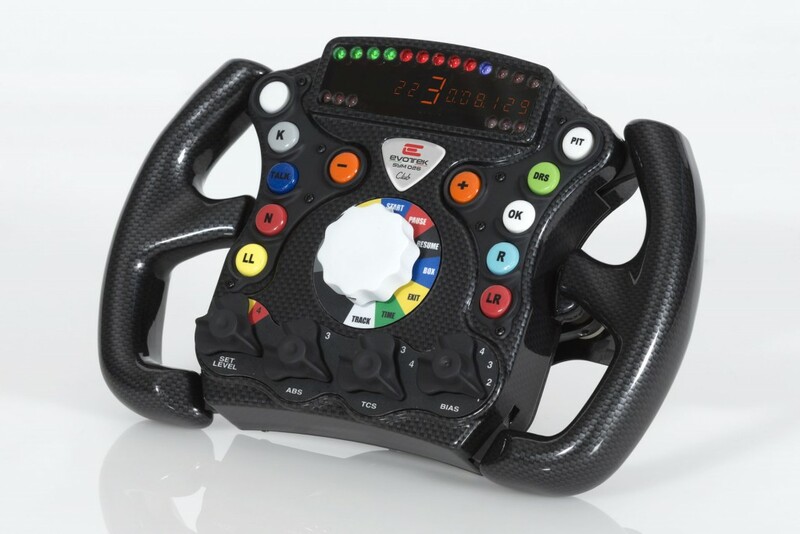 Evotek Sym steering wheel incorporates the best aesthetic and ergonomic solutions of the modern F1 race cars. 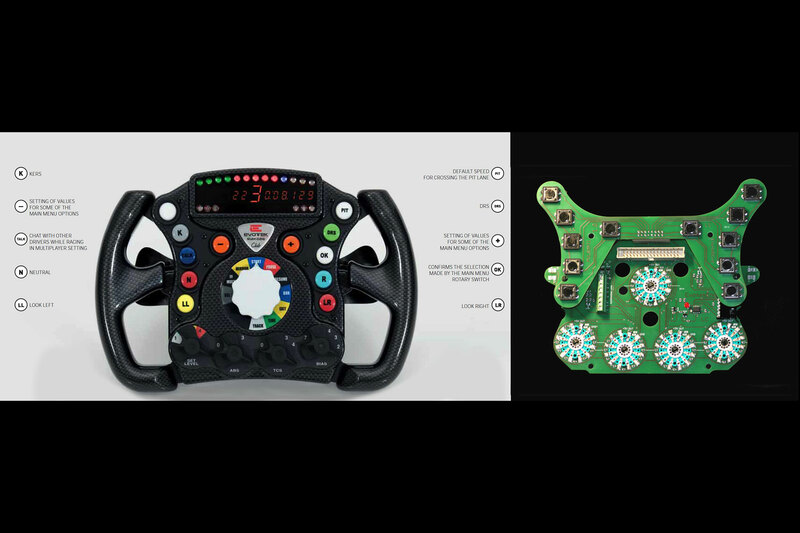 It’s fully programmable and it’s now considered the most complete and advanced steering wheel in simulation racing. Drivers can control all the functions of the vehicle from the levers and the buttons on it. Some of these functions can be “measured” – such as the Electronic Brakeforce Distribution (EBD) or the Traction Control System (TCS) – while others can simply be activated from a single command – as the KERS or DRS. Evotek Sym steering wheel also offers pilots the opportunity to select in real time difficulty levels: rom easy mode (with electronic controls as the traction control and the ABS) up to the extreme mode (without any electronic support, just like driving a real Formula 1 car). Another important feature is the Central Knob that allows drivers to interact with the real world or the operating system. 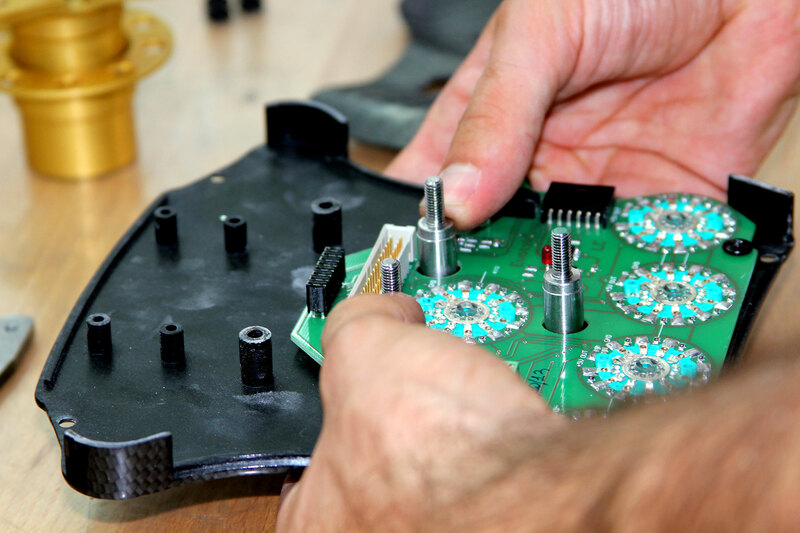 The steering wheel can be ordered in different mechanical / electronical configurations to meet different needs. The Standard 027 and the Club Edition Steering Wheel (with quick release, internal 8 poles LEMO connector or USB connector) are now available.